“Twinkle twinkle little star, how I wonder where you are” A group of three year old children sat by a painting in the National Gallery in London, looking up at the stars painted in the sky and sang quietly along with the museum educator who was sitting cross-legged in front of them. As they gazed at the large painting of a nativity scene the educator asked them if they could see the little baby. Many waving hands pointed to the image of the baby Jesus in the cradle. “Let’s sing the baby to sleep.” She cradled an imaginary baby in her arms and softly began singing “Lullaby, and goodnight, go to sleep my baby.” The children didn’t need to be invited to join her. They cradled their own babies and sang along. Storytelling punctuated with singing (the baby intermittently needed a lullaby and the stars continued to twinkle) kept these toddlers engaged and interacting with the art. My husband Simon and I walked on, looking at a variety of paintings. We had been to London a few times before and felt as though we were visiting old friends. 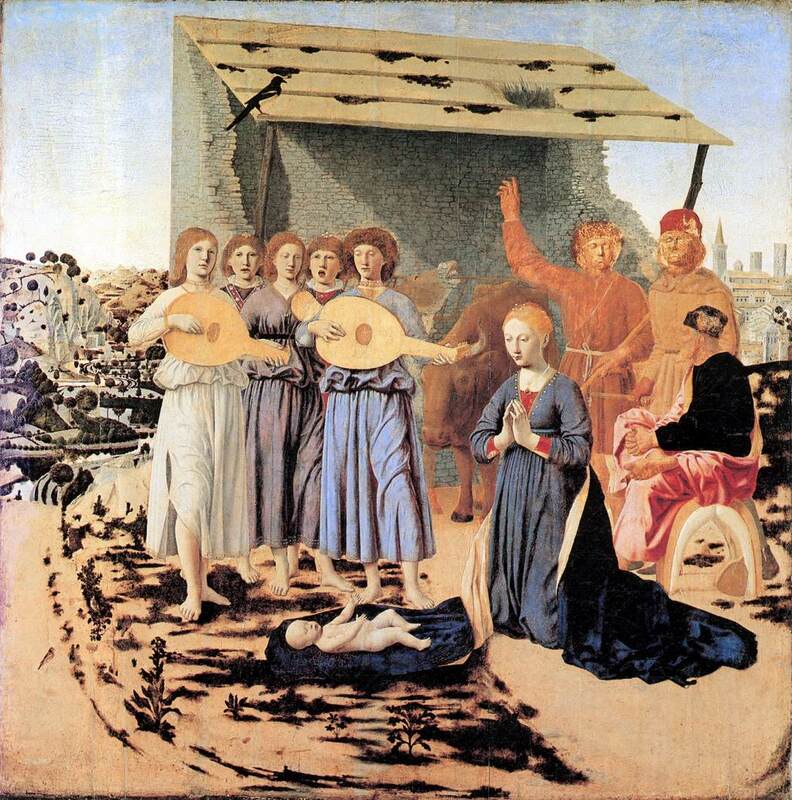 Van Eyck’s The Marriage of Arnolfini, Holbein’s masterpiece The Ambassadors and my favorite, Piero’s musical angels in The Nativity. We continued to wander until we suddenly came upon a class of nine year olds, led by another museum educator. As they entered the gallery, walking towards the selected painting, we noticed that two boys were walking backwards. I was intrigued and stopped to see what was happening. The two boys stood to the side of the painting, unable to see it. 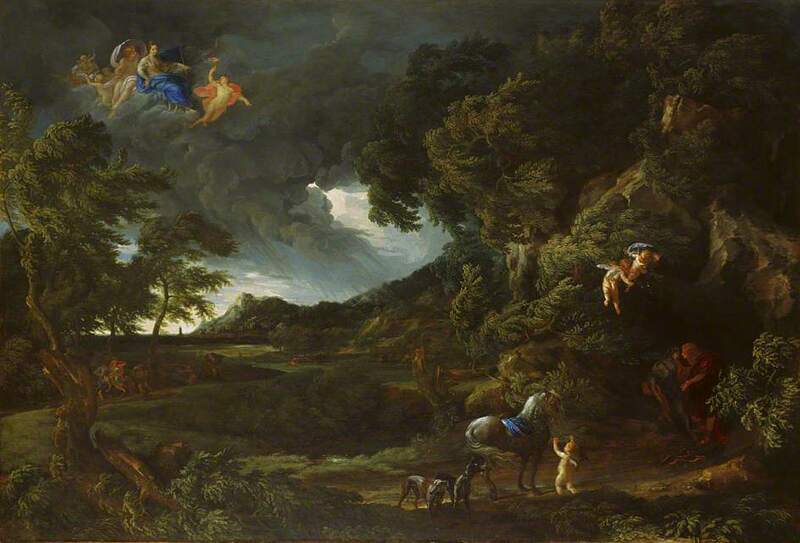 The other children sat on the floor facing the painting by Gaspard Duchet, Landscape of the Union of Dido and Aeneas. “I want you to use your best words to describe the painting to Tom and Ahmed. Let your words help them to see the painting with their minds.” The children looked and looked carefully, trying to notice the smallest details, using more and more descriptive language. The two boys, Ahmed and Tom, were encouraged to ask questions of their classmates. “Is the horse on the right or left side of the painting?” “Is there a mountain in the painting?” After a few minutes Ahmed and Tom were asked to turn around and look at the painting and tell if it looked as they imagined it to look. These children were all totally engaged with the painting and with the challenge of assignment. They discovered a connection between the use of descriptive language and their visual experience. What a brilliant exercise this was. When the group stood up to leave the gallery I stopped the teacher to ask her if this was a designated “gifted” class and she assured me that it was a regular class of nine year olds who were having a good time looking at art. Yes indeed. It was then 12:30, our reserved time to go downstairs to see the exhibition of Late Rembrandt paintings. This exhibition was one of the reasons for our trip to London. As expected, the galleries were quite crowded. However, there was a hush in the air, almost as though everyone was visiting a cathedral. Well, it was a holy place, a cathedral for art. 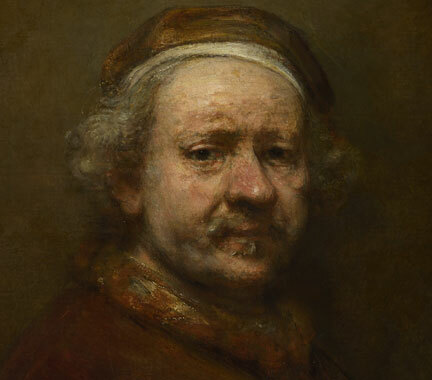 Rembrandts masterpieces were shown the respect that they deserved. 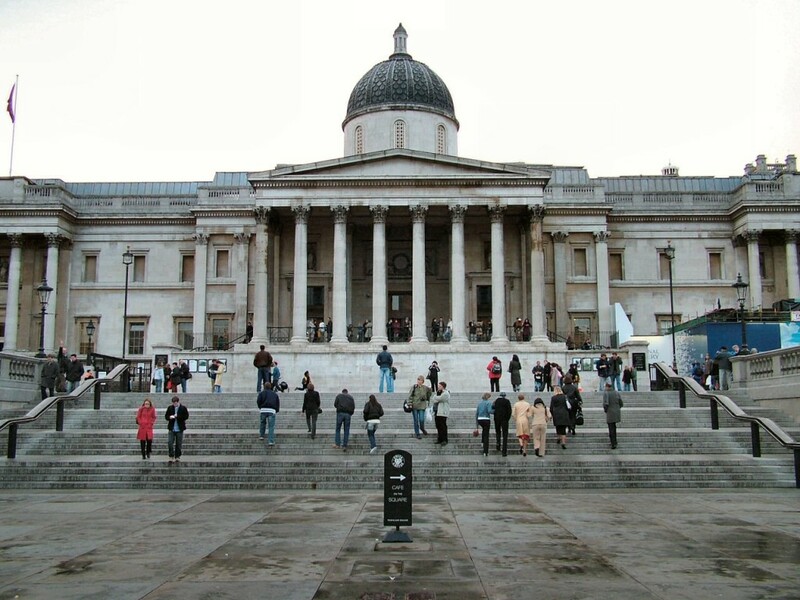 What was interesting was that during our week in London we visited a few other blockbuster exhibits – drawings by Egon Schiele at the Courtauld Institute, Late Turner at the Tate Britain and the incredible German artist Anselm Kiefer at the Royal Academy. All of these exhibitions were crowded. At all of the exhibitions the gallery visitors, just like the three year old and nine year old school children, displayed respect and a sense of reverence for the art. It was impressive and inspiring. This entry was posted in Investigating Choice Time: Inquiry, Exploration, and Play on January 4, 2015 by Renee. What a wonderful trip and wonderful experience. I love that you were able to observe the children as they observed the art. I know I have been so impressed by my visits to England and elsewhere — I have felt a reverence for the past, for old things, for art, for beauty, that I admit I never have felt here in the United States. [I also saw people reading books everywhere, especially on public transportation.] In any case, I think that teachers could use some of these experiences you shared with their children. I do hope students are still making field trips to museums. Not so sure anymore. Thank you Joan. I think that teachers who have smart boards could project images of paintings and do the same lesson. Although it is also a wonderful experience for children to see art in museums! This summer I had the opportunity to watch young students in Montevideo, Uruguay, work with a talented museum educator at the museum dedicated to the work of Joaquin Garcia-Torres. The kids studied two paintings and then used blocks to recreate the paintings. They were also given the chance to create their own ‘block’ paintings in the style of Garcia-Torres. The educator completely understood the squirminess of her young audience, and she allowed them to run and slide across the shiny, smooth, wooden floor of the museum space (far away from the art work, of course!). This sounds SO fascinating!Do you have any photos? I would love to learn more about this, Thank you for sharing! I do have some photos. The kids were adorable. The artist’s name is Joaquin Torres-Garcia, not Garcia Torres. I must look him up. Thank you for sharing Jacqueline. I’d love to see the photos and, if you like, post them.